Voice shopping is expected to jump to $40 billion in 2022, up from $2 billiontoday, suggesting the new channel may well be the next major disruptive force in retail, according to data from OC&C Strategy Consultants. Amazon has a firm hold over consumers’ buying decisions, with 85% of consumers selecting the products Amazon suggests. 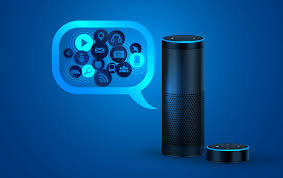 John Franklin, Associate Partner, OC&C, Commented: “Voice commerce represents the next major disruption in the retail industry, and just as e-commerce and mobile commerce changed the retail landscape, shopping through smart speaker promises to do the same. Coye Nokes, Partner, OC&C, Noted: “In order to properly position themselves, retailers must ask themselves key questions, such as: What objectives am I trying to meet? How should I tailor my voice proposition to meet those objectives? Which AI system is best suited to enabling those objectives? How can I build consumer trust in my product recommendations? How can I make the order economics work?